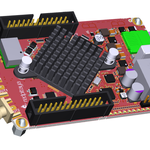 Red Pitaya Hamlab has just been announced at Friedrichshafen Ham Radio 2016 expo. 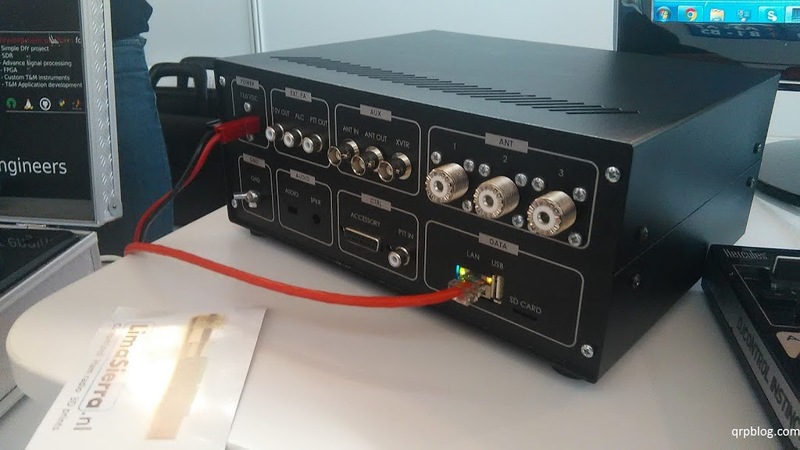 It is a dual-receiver dual-transmitter DDC/DUC HF/6m 10W SDR transceiver with extended measurement capabilities, based on the popular Red Pitaya development board. 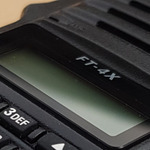 The RF is converted to the digital domain with a LTC2145-14 125Msps 14-bit ADC (comparable to what an Icom IC-7300 uses, for example), so performance should be pretty good. 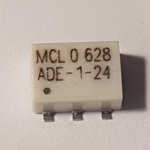 Receiver coverage is 0-60MHz and +15dB preamp and -6/12/18dB attenuators are available for different levels of frontend gain settings. 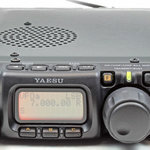 The transmitter has currently 10W and is optimised for the 160m-6m bands. 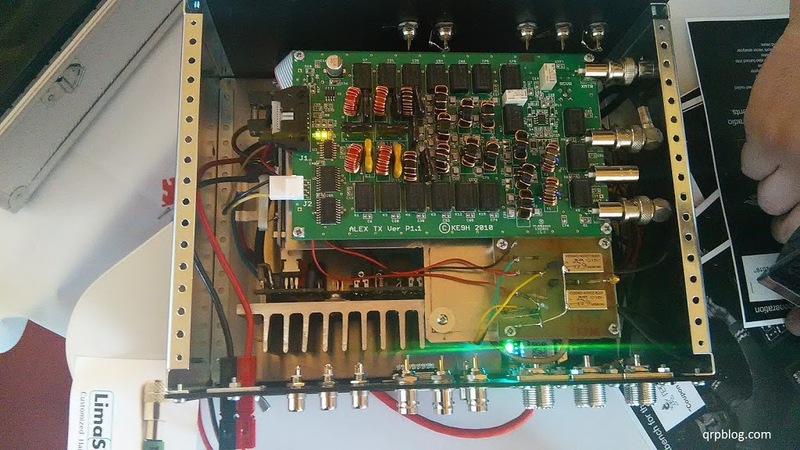 A higher power amplifier (100W, for example) can be integrated without much effort and the configuration makes it pretty easy to add external filters for the 472kHz or 137kHz bands. 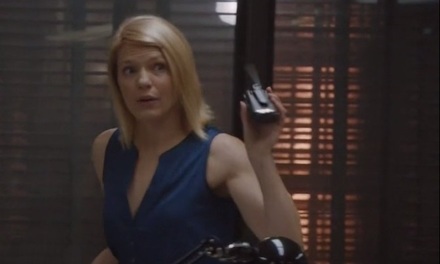 The connection with the computer is realised via Ethernet. 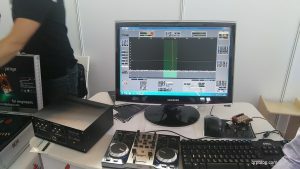 It is also possible to use an external physical controller with knobs, but the computer is still required for display, processing and advanced control. 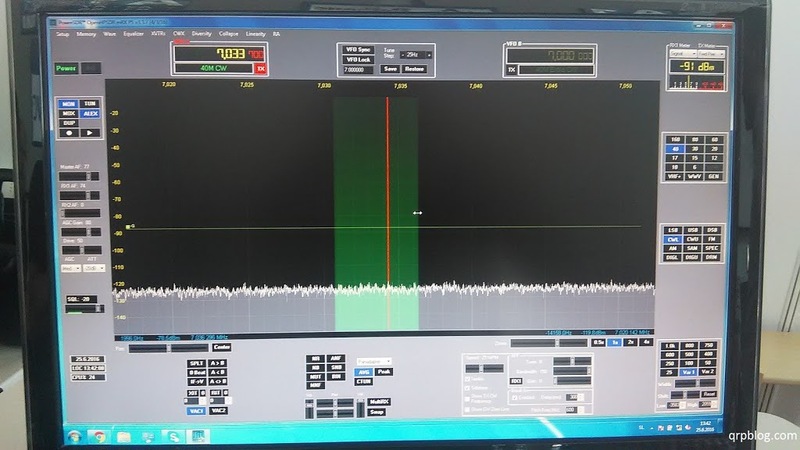 The transceiver is compatible with various SDR software packages out there, such as PowerSDR, HDSDR, Gqrx, GNU Radio, GNU Radio Companion and Pothos. 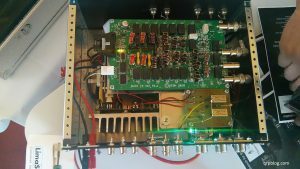 Even there are two transmitters available, we can assume only one can be used at one time with the output power amplifier. 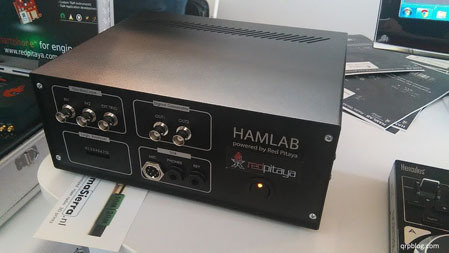 But Red Pitaya Hamlab is much more than just a good SDR transceiver. It is also a dual-channel 50MHz oscilloscope, a dual-channel 62MHz bandwidth spectrum analyzer with 80dB dynamic range and an 8-channel logic analyzer. 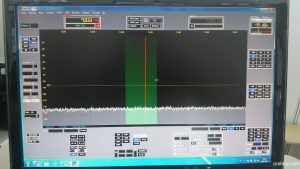 It can also be easily turned into an LCR meter, a Network Vector Analyzer and even more. All this is possible thanks to the Red Pitaya board and makes this a very useful equipment in any shack. The Red Pitaya Hamlab is currently in late development stage and will be available around October 2016 at a price of EUR 600. 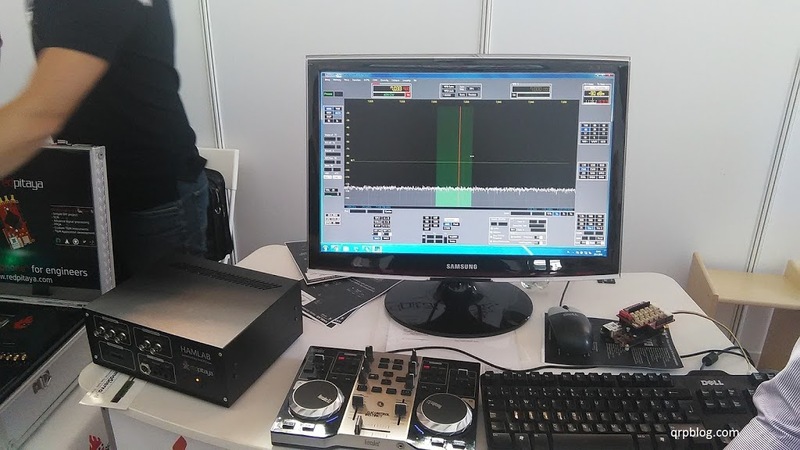 The images above are of a working prototype and not of the final product – see below how the production version will look. More details you can find on the Red Pitaya website. 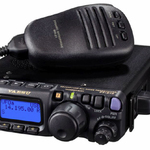 Soon a Rasperry will be able to drive the hamlab, for those who want to go standalone, lightweight and qrp. For all others, a HamLab with a LDMOS PA represents the best price /quality ratio possible in 2016. Simply unbeatable. As usual, it will be choosen first by so called "early adopters". 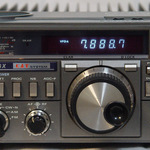 The mainstreamer will wait for the collapsing prices of analog radios to dare the jump. 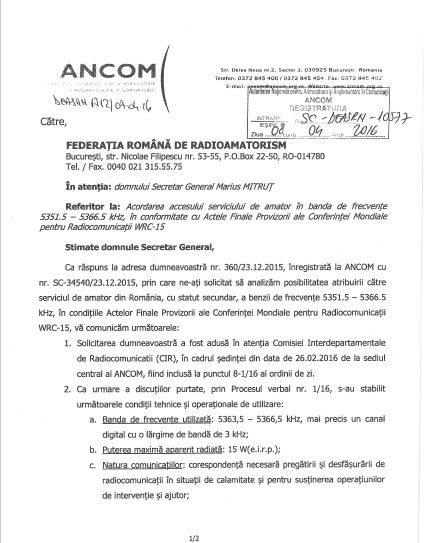 Arata excelent si, promite foarte mult ! 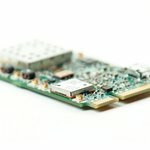 Sa speram ca si partea de software va fi pe masura hardware-ului, in special ca utilizarea ca TRX..
Is there any indication whether the finished product will comprise boards from HPSDR project or will the entire thing be re-engineered?